With the flood of applications and longer battery life of iPads, they're more useful than ever. Whether you're navigating, communicating or identifying plants, birds and geology your iPad can be indispensible in the backcountry. 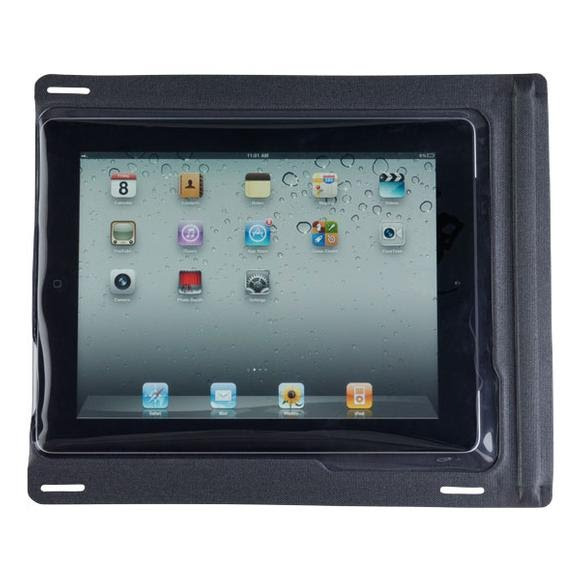 Maintain functionality and protect it with Seal Line's I Series iPad case and put your mind at rest! With the flood of applications and longer battery life of iPads, they&apos;re more useful than ever. Whether you&apos;re navigating, communicating or identifying plants, birds and geology your iPad can be indispensible in the backcountry. Maintain functionality and protect it with Seal Line&apos;s I Series iPad case and put your mind at rest! Full Function: Ultra-clear and supple urethane windows allow use of all touchscreen, camera and voice functions. Individually tested: Unquestionable reliability ensures peace of mind. Low-Profile: Proprietary, easy-to-use SealLock closure saves space for easy transport anywhere. Secure: Die-cut lash points at corners provide tethering options for high adventure or total convenience. Materials 600D polyurethane coated polyester and clear PVC-free window. Weight Fits iPad, any model.